In the fall of 2017, Joel Paterson finally released the Christmas album he had been threatening us with for some time, Hi-Fi Christmas Guitar. This all instrumental offering didn’t make it into my mailbox until December 26th. This of course meant I didn’t hear it until December 1, 2018, as there is no way in hell or the North Pole for that matter that I’m going to listen to a Christmas album after December 25th. I’m sure you understand. I can barely tolerate the sounds of the season…in the season. After that, forget about it. Many of our readers know Joel Paterson for his guitar work in the Chicago blues collective known as The Cashbox Kings. He was a member of The Four Charms. He is also the driving force in the bands The Modern Sounds and The Joel Paterson Trio. The Joel Paterson Trio backed Jim Liban for his 2014 release, I Say What I Mean, which is one of the strongest straight-ahead blues releases in this millennium. His prints are all over the simply outstanding 2017 release by vocalist Oscar Wilson One Room Blues. 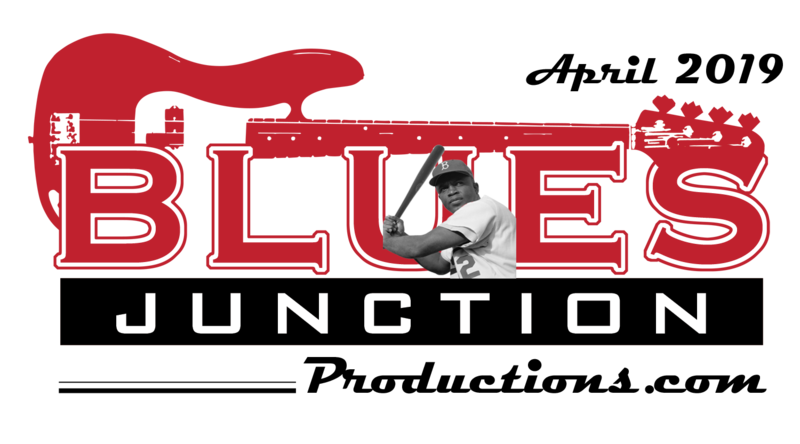 Yeah, it is safe to say that we are big fans of Joel Paterson out here at the JUNCTION. 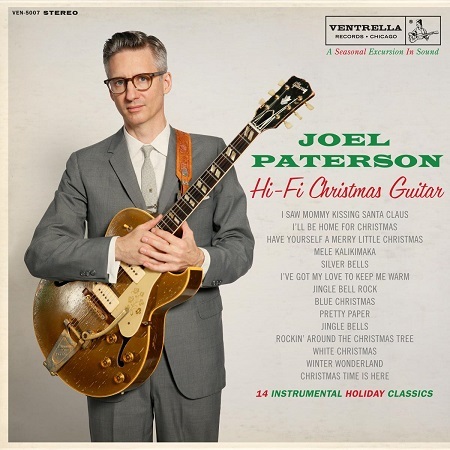 When I finally heard the recording, Hi Fi Christmas Guitar, it was exactly what I expected, the consummate guitar player Joel Paterson applying his deft touch and impeccable taste to some traditional holiday favorites. The album features Paterson playing guitar, steel and lap steel guitar creating a lush, multi-track soundscape in the mold of his 2013 release Handful of Strings. With a nod to Les Paul, Buddy Merrill and Jorgen Ingman, Paterson creates dense layers of guitar and applies this seemingly forgotten mid-century art form to Christmas music. The entire album is one big thrill for guitar geeks and yet is just as enjoyable to mere civilians like myself. By applying his immense talent to traditional Christmas fare, Paterson is free from any stylistic restrictions. 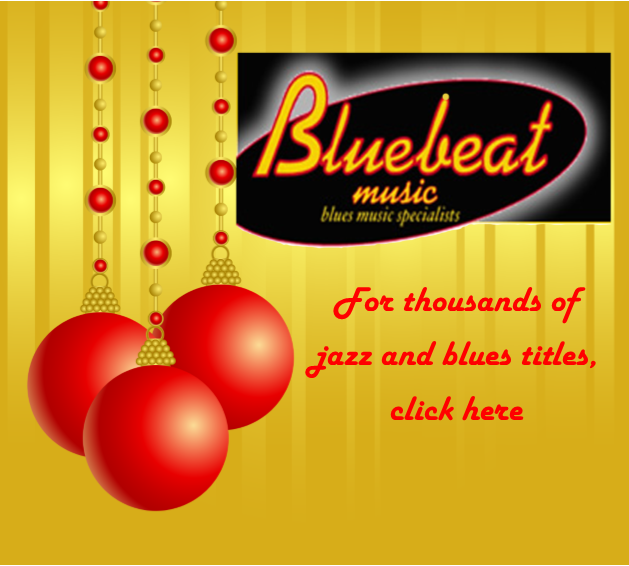 Here he bounds from jazz to traditional Nashville country and to western swing all loosely tethered to the blues with touches of space age cool thrown into this warm Christmas cocktail. Paterson is joined by long time Modern Sounds cohort’s bassist Beau Sample and drummer Alex Hall. The entire fourteen song holiday extravaganza was engineered by Joel Paterson and Alex Hall. It was mixed and mastered by Hall at Reliable Recorders and Hi-Style Studio in Chicago. This is, by the fire with a goosed-up eggnog and strategically situated mistletoe music. You could then listen to it with the folks the next day and they wouldn’t be offended by Paterson’s treatment of traditional Christmas fare. This might even bring a crooked smile to Grandpa, who might be overcome with memories of his “hi-fi” rig in those bachelor pad cool days of yesteryear. Heck, this might be where he snagged Grandma for the first time in a Christmas story that you’ll never hear. This is the album I’ll be traveling with this holiday season. I like playing defense at Christmas parties. If you put this bad boy on the Hi-Fi this will keep you from having to listen to some really shmaltzy, candy cane influenced holiday music. I’d rather have a silent night than listen to somebody else’s Christmas kitsch. This Ventrella Records release comes with the great packaging and liner notes you have come to expect from Paterson’s independent label. Spotify that Scrooge. Hi-Fi Christmas Guitar is a real winner and a very welcome addition to our Christmas library.